>Can you believe it’s already February?! A few weeks ago I promised some blog updating and, well, clearly I haven’t stayed true to my promise. I’m working on it, though. Honestly! 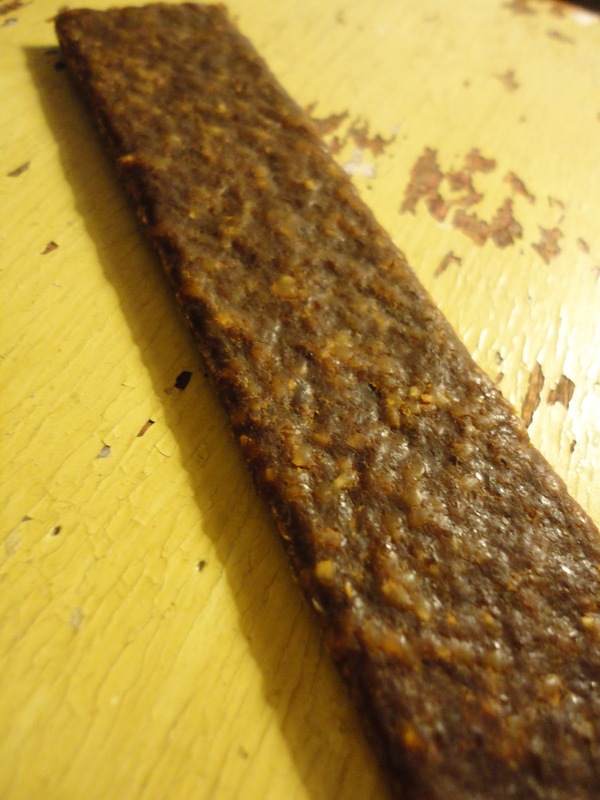 Tonight’s treat review is on Fido’s Best All Natural Catfish Treats. I tested these on Teton and his Uncle Kasey. I picked these up at my new local pet store hang out. At first I had the ostrich jerky in my hands, but then I thought about the pet ostriches that my grandparents used to have (no lie!) and it made me a little sad. I’m impressed that I knew the plural for ostrich, by the way. These treats were $6.59 for a 4-oz pack. A little steep, I know, but I justified it because I found them to be pretty unique. Ingredients look pretty good, too. Catfish, flax seed, barley, water, nonfat milk, whey, and a “special seasoning blend” make this treat smell quite pungent. I barely touched the bag after TLB and Kasey had a nibble and they were at my feet whining. Honestly, it smells like a fish version of human beef jerky. These are their best begging faces. 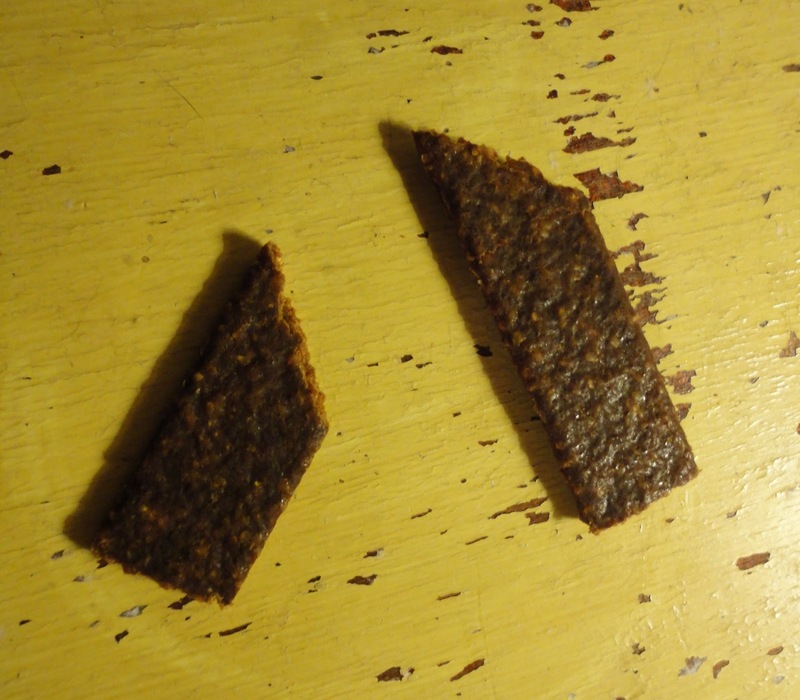 These strips of jerky are hearty and easy to break, so they could easily be used in small bits as training treats, should that be something you’d like to do. 1. 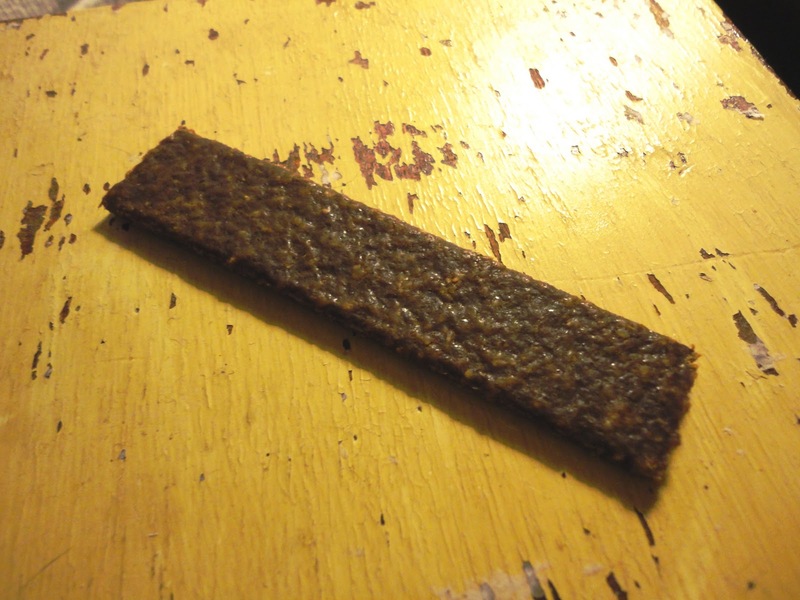 Price – $6.59 for a 4-oz pack that holds just five jerky strips? That’s a bit high. Subtract $1.50 and I’d be one happy blogger. 2. 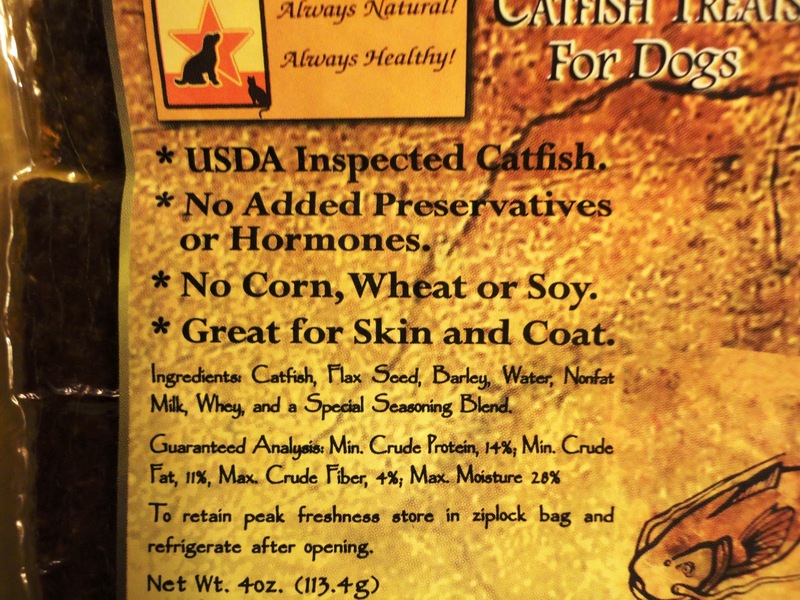 Quality – Made with USDA inspected catfish! It never crossed my mind that this would be a possibility, but I’m down with it! 3. Benefits – What’s not to love? Catfish is high in Vitamin D and contains Omega-3 fatty acids, both of which are grrrrrreat! We’ve also got flax seed (lots of wonderful properties including a richness in both Omega-3 and Omega-6 fatty acids), barley (great source of energy and fiber), water, nonfat milk, and whey. 4. 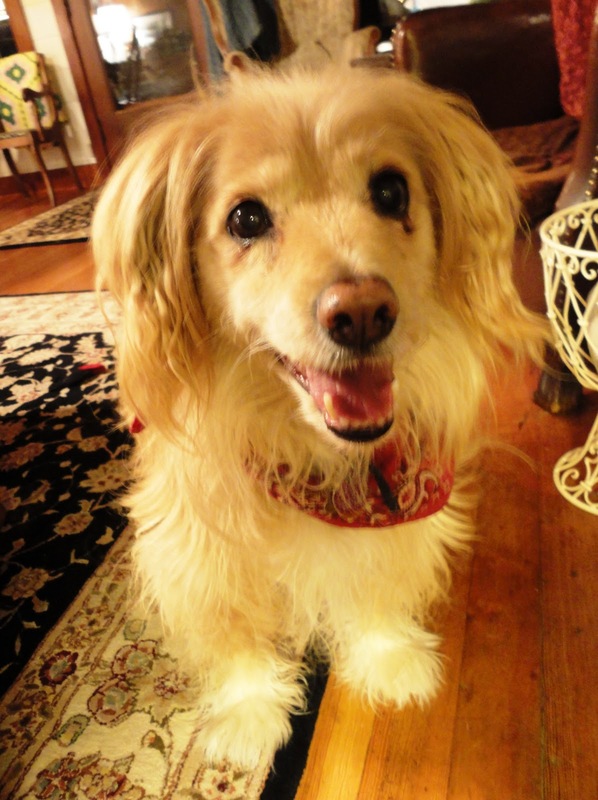 Ingredients/Features – This category is covered in the Benefits section because practically every ingredient has at least one benefit for your pooch. In a word, fabulous. 5. T-Factor – Um…TLB is gaga over these treats. He loves fish-based treats in general, but I don’t know that I’ve seen him beg this much for a treat, well, ever. 6. Uniqueness/Fun – This treat is pretty unique because I don’t know that I’ve ever seen another catfish treat on the market. 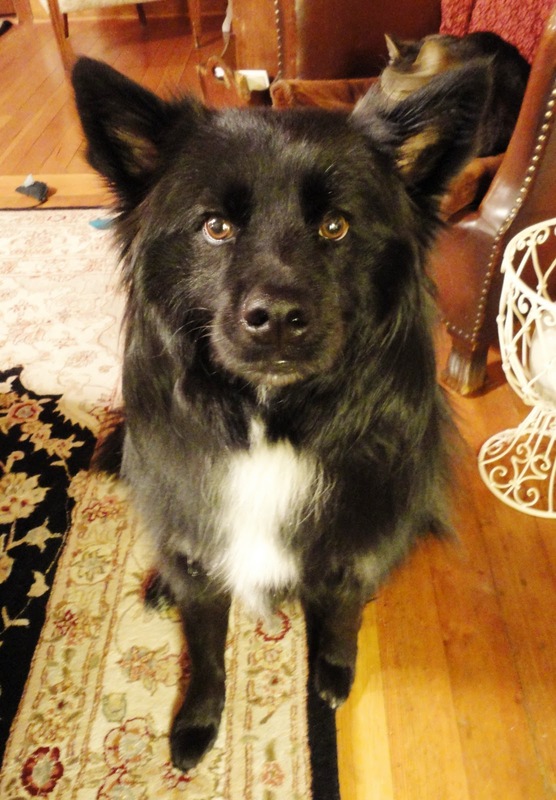 Taking all factors into consideration, TLB and I give Fido’s Best All Natural Catfish Treats an eight out of 10. 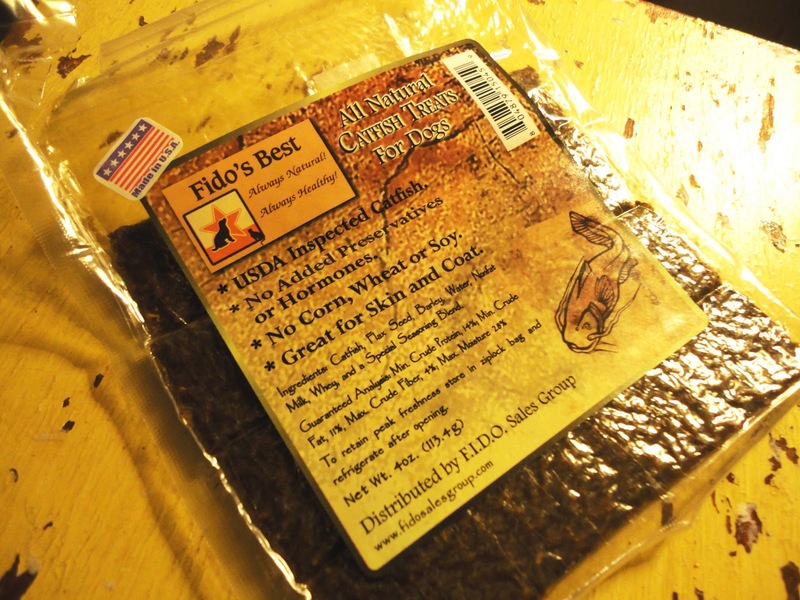 Fido’s Best nailed every category except for price, which is a bit steep at $6.59 a pack. Posted on February 1, 2011 May 14, 2011 by Shannon	This entry was posted in This 'N' That. Bookmark the permalink.